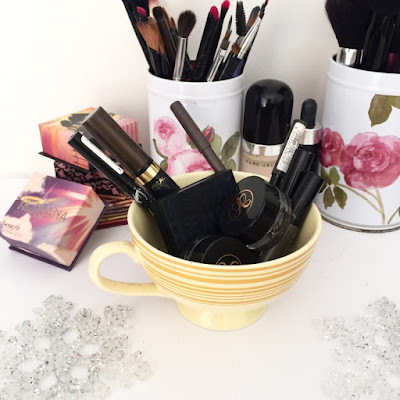 Makeup Storage For Cheap People - 12 Days of Blogmas! Hey, friends! I'm going to level with you, although I'll happily spend an entire week of pay on new makeup, when it comes to finding storage for said makeup, I'm really stingy. Like, super stingy. So super stingy that I should have a cape, but I simply refuse to fork out the money for one. 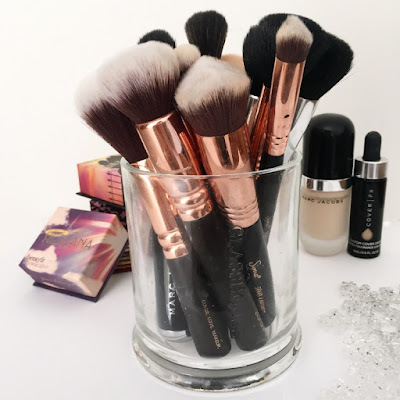 As a result of this frugality I have become a master of storing copious amounts of cosmetics on a budget, and felt it only fair to pass this knowledge on to you all. Also, I promise this post isn't sponsored by Kmart, I'm just addicted. 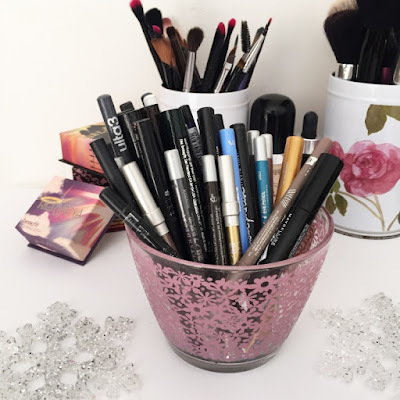 Let's start with brushes, as they are so easy to store on a low budget. If you follow my Instagram you may have seen the floral tins hiding in the background of my product shots; I picked these Ikea babies up in a set of 3 a few years ago, but I'm sure they have similar designs now. They're not only super spacious, but are easy to clean and move around. 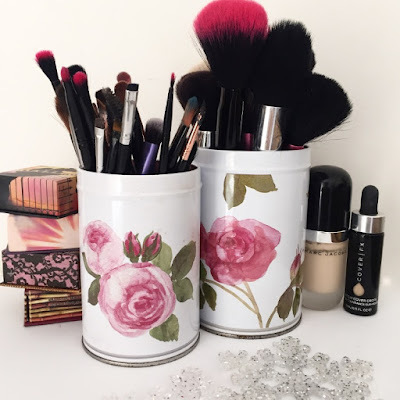 Great alternatives for these types of tins can be found in the stationery/home sections of most stores! I'm partial to Kmart, because Kmart, so definitely check out your local store - they even have some fancy ones. I generally avoid any 'container' stores as they are in no way budget friendly and generally aren't as fun. Another brush-storing trick that might just change your life comes in the form of your favourite candle. Since I'm a hoarder, I found myself with approximately eighty three empty candle jars and no where to put them. Does anyone else need extra storage for their storage? Just me? Ok, cool. Anyhow, one day I decided to pop my brushes in them and I haven't looked back since. Glasshouse are the perfect height and circumference for this task, plus they have the added bonus of being transparent, but most standard sized-candles will work just fine! I'm also partial to using decorative cups as storage, such as these ones I found at Ikea (floral) and The Body Shop (yellow). Alternatives can of course be found at Kmart. The bulk of my loose products - i.e. 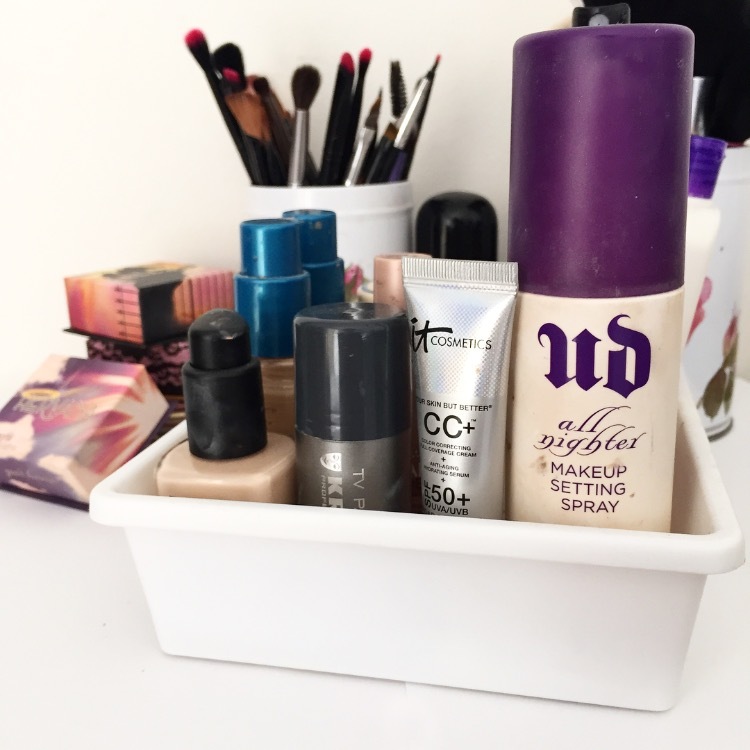 stuff that is not a palette - live in drawer organisers that range from $2-5 depending on size. They have a grippy (technical term, obviously) base so your products won't slide around, and are incredibly easy to keep clean. Plus, they fit well in my Ikea drawers or on top of my vanity. If you can't get your hands on these bad boys, I'm also a huge fan of saving cardboard boxes - be it from online orders, shoes etc - and using these to store bigger items. When it comes to lipsticks, storage can get really expensive. Acrylic lipstick holders are pricey and often do not come with enough spaces to make a dent in my collection. My solution for this dilemma is cutlery trays. 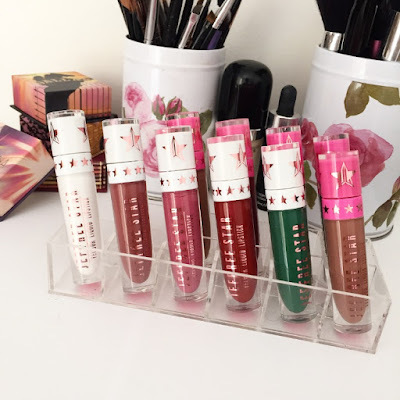 I have ones which match my drawer organisers, which is not only aesthetically pleasing for my soul but also means they boast the same grip-base and thus my lipsticks don't roll everywhere when I open the drawer. Bonus. I hope this was helpful to all of you makeup hoarders out there! What are your favourite storage tips?